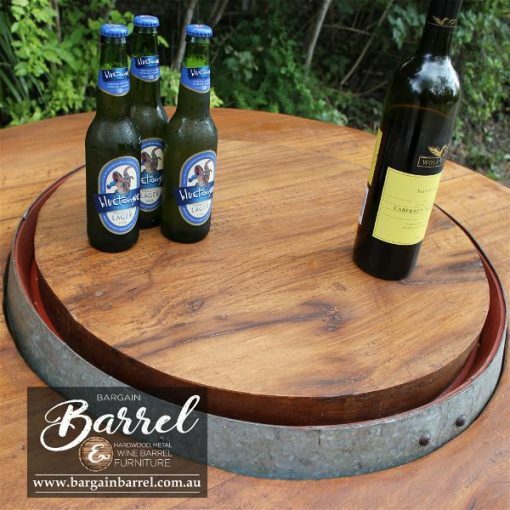 Our quality Hardwood Lid’s comes as an accessory which ideally fits inside the top of a 330 Lt wine barrel. 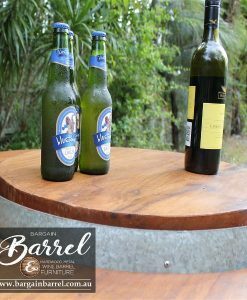 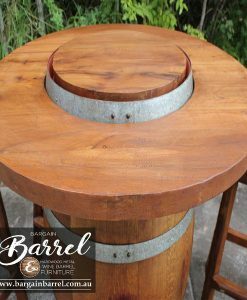 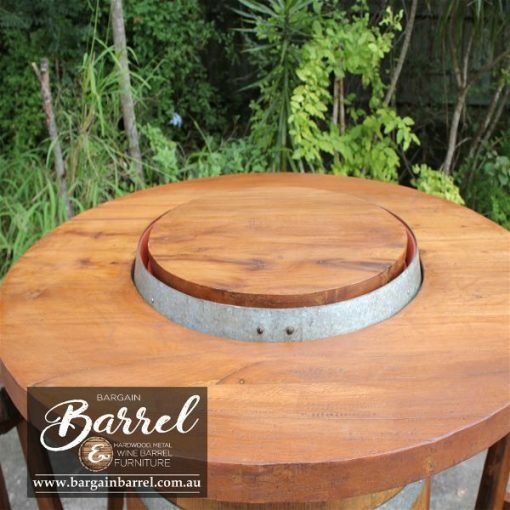 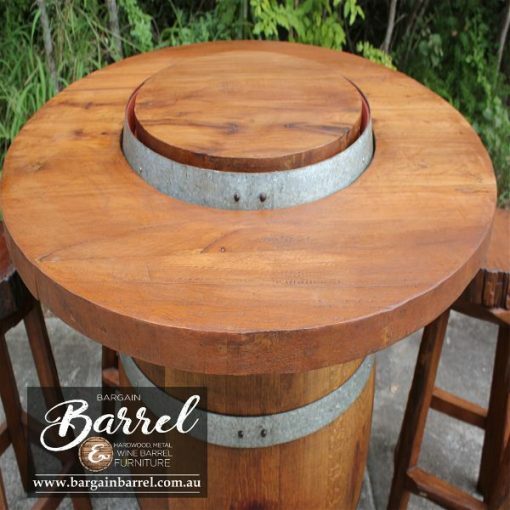 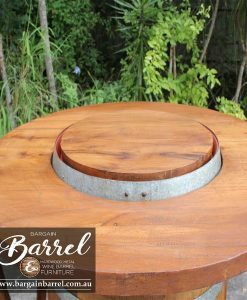 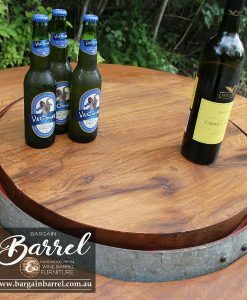 Extremely durable solid hardwood circular piece finished in a natural coat of decking oil to allow a finish that blends in with all Barrel Bars. 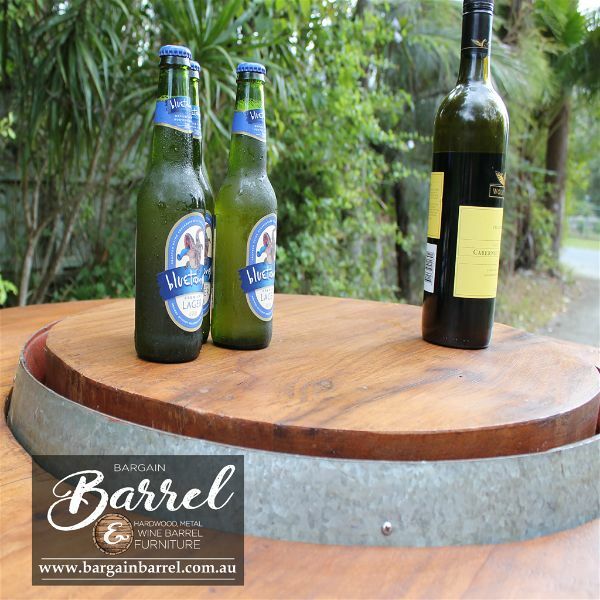 Ideal for the Barrel Bar Chiller and Barrel Bar Esky if both the Chiller and Esky are not being used to provide that extra table space with a balanced look overall. Please find time to view our extended Barrel Bar range.